All the projections and surveys suggest that VR adoption is on the verge of acceleration. Much of that will be down to the impact that VR streaming will have on consumers. Here are 10 things you need to know about the impact of VR streaming and its potential appeal. 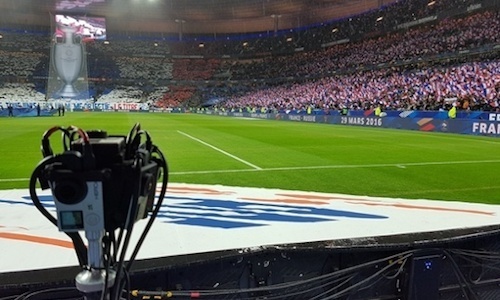 When in partnership with TF1 and several technology partners, we live streamed the France vs Russia friendly soccer match in Ultra HD VR on March 29 last year, it was a world’s first. No sports event had ever been seen that way before. Sales figures for 2016 are still being analysed, but it is estimated that anywhere between 1.5 and 7 million dedicated VR headsets (Sony Playstation VR, Oculus, HTC Vive etc) were sold in 2016. 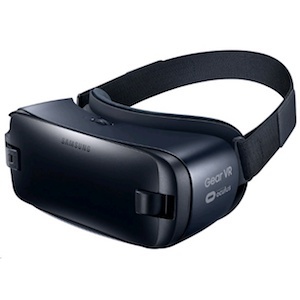 Meanwhile, at CES 2017 Samsung confirmed that there are over 5 million Gear VR headsets in use globally. YouTube introduced 360 degree live streaming in April 2016, while Twitter’s Periscope 360 live streaming service launched in December. Facebook Live 360 is rolling out through 2017. YouTube’s most watched 360-degree video has had over 53 million views and counting. Though the phrases tend to be used interchangeably, there is a difference between Virtual Reality and 360-degree video, in that VR technically includes 3D CGI elements. The amount of cameras capable of capturing 360-degree video is exploding all the time. 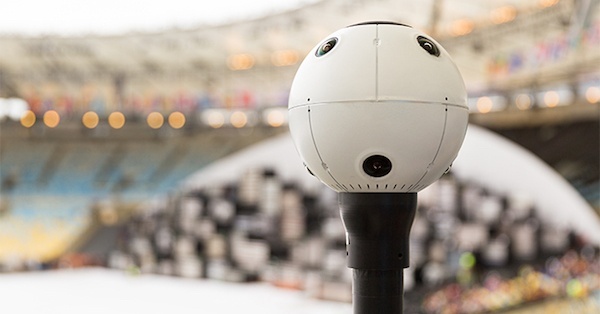 Mirroring other sectors of the camera industry, it stretches from the €40,000 Nokia Ozo at the high-end broadcast section of the market, to the €180 consumer-oriented LG 360 Cam. The VR streaming workflow has some important differences from that of conventional 2D media, in that more attention needs to be paid to the directionality of the audio. As images are captured from a number of cameras pointing in different directions, there is an additional stitching process that needs to occur before encoding and delivery. Following our pioneering test last year, the amount of VR streaming events going live is ramping up enormously. Olympic Broadcasting Services delivered 85 hours of live VR content alone to a total of 14 Rights Holding Broadcaster organisations, representing 31 territories.The NBA announced in October that it will produce one game a week in the format. The amount of sports organisations investigating the technology is rising all the time and includes the likes of NASCAR, the NFL, and UEFA. OBS streamed 85 hours of live VR coverage from Rio 2016. It’s not just sports either, as other tent-pole, big-ticket live events are also being cued up for coverage. 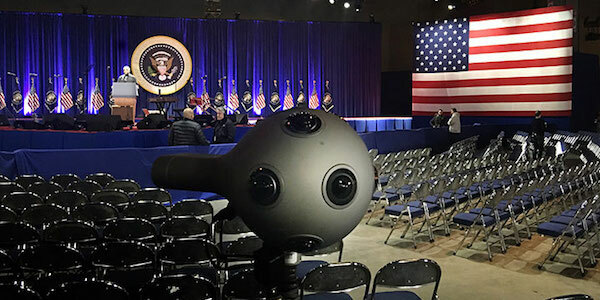 USA Today live streamed Donald Trump’s inauguration as US President as the first live stream event featured on its VRtually There channel. A good quality 360-degree video will typically be encoded at around 20-30Mbps using the H.264 codec. That means that maintaining the feeling of immersion over current networks requires clever technology, such as the Tiledmedia VR Streaming technology we utilise in our end to end VR streaming solution. This concentrates on providing high quality video in the user’s field of view, and not the whole 360-degree image. This allows quality to be maintained over much lower bandwidths. 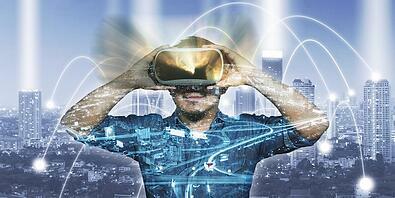 To find out more about VR streaming and how we can help you conquer the still significant challenges inherent in producing a reliable, robust and high quality stream, read more here.